The Crown Jewel Quilt designed by Jenny of Missouri Quilt Co, The Tutorial is available for free. Jenny Doan demonstrates how to make a lovely Crown Jewel quilt using 5 inch squares of precut fabric (charm packs). For this project, she chose Flower Sacks by Me & My Sister Designs. 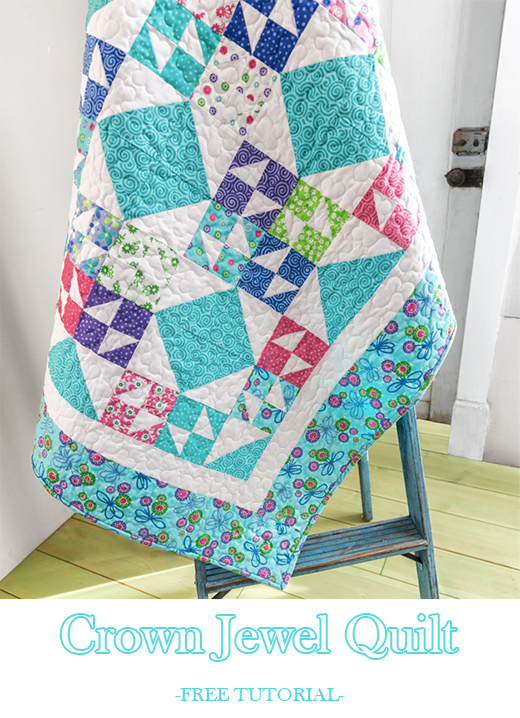 This quilt starts with quick and easy half square triangles using the easy eight method. Sweet little bow tie blocks combine with simple diamond blocks to make an absolutely gorgeous quilt!